Celine Dion released a gender-neutral clothing line, but it is definitely not innocent! 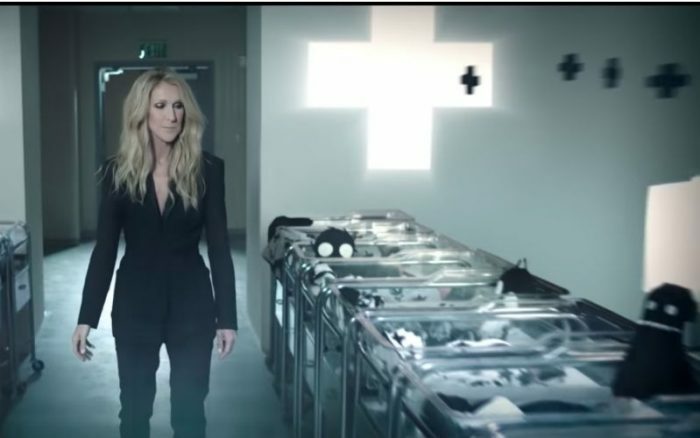 In the midst of revealing this new clothing line, she dropped a YouTube promo video, in which she breaks into a hospital nursery filled with babies dressed in pink and blue. She then blows black dust on the babies, and their clothing changes to a neutral black and white. “I’m convinced that the way this gender thing has spread is demonic,” explained the Msgr. Esseff, who was once a spiritual director for St. Teresa of Calcutta. Dion explained in an interview with CNN that her own children inspired the clothing line. She took them to Disney World and said they were more interested in princesses and Minnie Mouse than in the “big superheroes” and Mickey Mouse. While Dion has received positive attention from the media, many of the comments on her YouTube channel have been negative. So please be very careful of this deception of the devil. Let us pray against the attacks of the enemy on our children! St. Michael, pray for and protect our children!